The Friends of St. Benedict is proud to announce the 2017 Benedictine Experience at Bishop's Ranch, June 19th through June 25th. Our theme, Rediscovering Benedictine Wisdom in a Time of Turmoil, will be presented by Brother Bede J. Healey, OSB Cam., of Incarnation Monastery in Berkeley, CA. John Renke will return as Music Director. Father David Caffrey will lead chapter meetings. The wisdom of Benedict’s Rule needs to be rediscovered in every age, and our time is no different. The deep structure inherent in the Rule provides an orientation to the Divine while simultaneously strengthening our relationships with others. This same deep structure can help individuals and communities facing the divisions and fragmentation of the present age. During this week, in the context of choral prayer, shared work and study, personal lectio, silence, and communal meals and sharing, we will explore the wisdom elements of the Rule and identify how we can make Benedict’s Rule the basis for our own personal and communal way of life. The Benedictine Experience is a time designed for those who wish to nurture and strengthen their daily spiritual lives by praying and working together in community. The Experience is modeled after the balanced way of life set out by St. Benedict in the Rule, giving due attention to the needs of body, mind, and spirit. Much of our time will be spent in silence. Daily conferences will cultivate the practice of "listening with the ear of the heart." This time spent living in community allows us to reflect on the Benedictine values of listening, humility, silence, and hospitality, all of which is directed toward grounding our lives in the love of Christ. Attendees participate in an ordered day of prayer, study, work, and leisure. The framework of each day will be the Opus Dei – the daily corporate worship of God – including prayer offices that begin with Morning Prayer, followed by the Eucharist, Evensong, and Compline to complete the day. Morning lectures will be given by Br. Bede Healey OSB Cam., followed by discussion. Afternoons allow time for rest and study, and participants have opportunities to take part in work projects and small group discussions. Evenings allow time for silent meditation in the chapel, the service of Compline, and the beginning of the Great Silence. Special consideration will be given to the creative role sacred music plays in building a Benedictine spiritual consciousness. This year marks the 30th year that John Renke will serve as musical director. Please click below to open brochure and registration form. Br. Bede Healey OSB Cam. 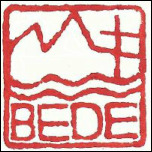 is a member of the Camaldolese Benedictine community at Incarnation Monastery in Berkeley, CA. He holds a PhD in Clinical Psychology and has a deep interest in the intersection between psychology and Christian spirituality. 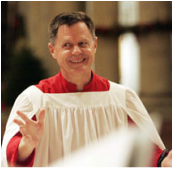 John Renke, Director of Music at St. Andrew’s Cathedral in Honolulu, is a passionate organist, conductor, composer, liturgist, and teacher. He founded the Schola Cantorum at the National Shrine of St. Francis of Assisi and is Director Emeritus of ScholaSF. Fr. David Caffrey is an Episcopal priest who has for many years led Benedictine cell groups and desert retreats in Joshua Tree, CA. The Bishop's Ranch is about two hours north of San Francisco. Airport shuttle service is available from the San Francisco and Oakland airports to Santa Rosa, which is a short cab ride from the Ranch. The Ranch is high on a ridge overlooking the Russian River Valley and Mount St. Helena. Participants occupy simple but comfortable rooms in three buildings on the grounds. The Ranch's 240 acres of pastures, woodlands, and nearby country roads offer opportunities for walking and solitude. This fee includes all meals, lodging, and programs. Please mail check with Registration form to the address below. All payments are non-refundable. Should you need to cancel, your deposit can be transferred to another new participant.